With picturesque coastlines that boast one of the world’s best locations to spot whale sharks, Exmouth is something of an idyllic coastal town. 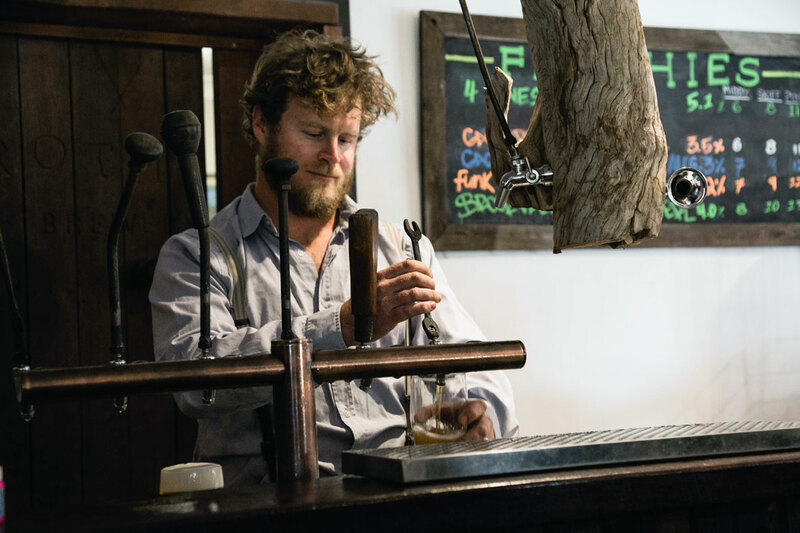 In the past 12 months, it’s also managed to increase its local brewery population from zero into two, with both breweries chipping away at a beer scene that was once the preserve of Emu Export and XXXX. One of them, Whalebone Brewing, we featured on the site late last year. Now it's the turn of Froth Craft Brewery, which opened a restaurant in March last year and started making beer a few months later. 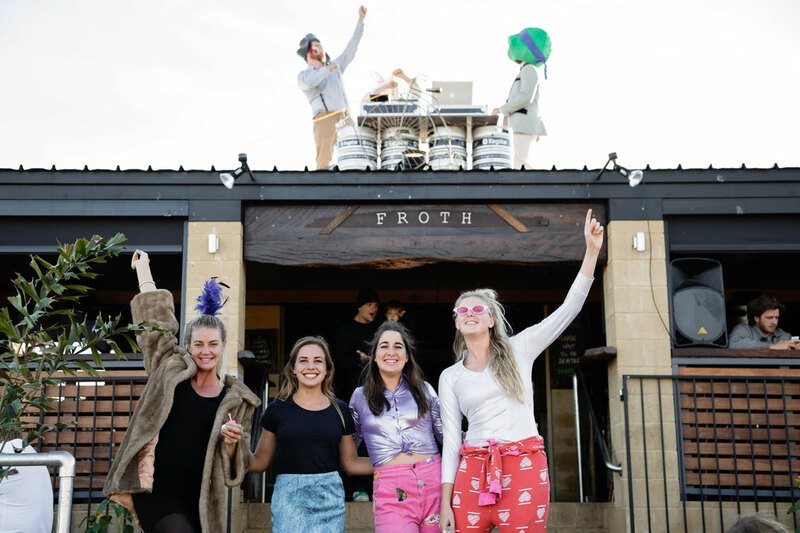 The founders recently expanded the venue's license to allow the brewery to sell beer off-site – as well as takeaways onsite – and, given there are plans to get Froth beers into Perth, we felt it was as good a time as any to introduce Froth to our readers. 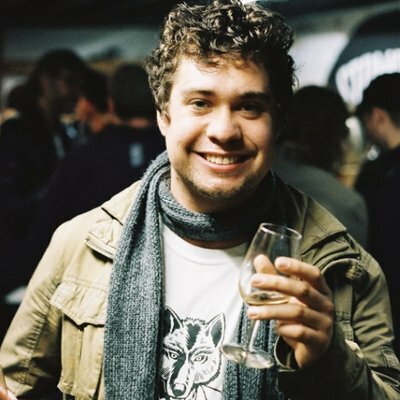 So here’s one of the brewery’s co-owners and head brewer Tyler Little (pictured below) to tell us Froth’s story, a year on from its launch. I brew in a six metre by eight metre shed at the back of our restaurant. I’ve had experience brewing at Eagle Bay Brewing Co under Nick d'Espeissis as well as Bootleg Brewery under Ryan Nilsson-Linne. Both head brewers were incredibly generous with their time and knowledge and that really helped me take the leap of faith into commercial brewing. They embody the true craft beer industry spirit and I can’t thank them enough. Originally from British Columbia, Canada, I got into homebrewing during university, trying to get the quality of more costly beer but on a budget. Being in a craft beer Mecca during that time it really opened my eyes to the endless pursuit of smells, flavours, textures and colour. In 2012, my wife and I immigrated to Australia and moved up to Exmouth, Western Australia. Here, the only craft option was Little Creatures coming in at $80 a carton so it's where I got serious with brewing and never looked back. It's an amazing passion where the fruits of your labour and patience pay off with something that can look, smell and taste great. Furthermore, it's great to share with your friends. What beers have you released to date? Of those, what’s your personal favourite? I think as a brewer you can always find room for improvement but my go to would be Nor’esther Pale Ale as that’s been my most worked on out of the recipes I’ve been doing over the last five years. 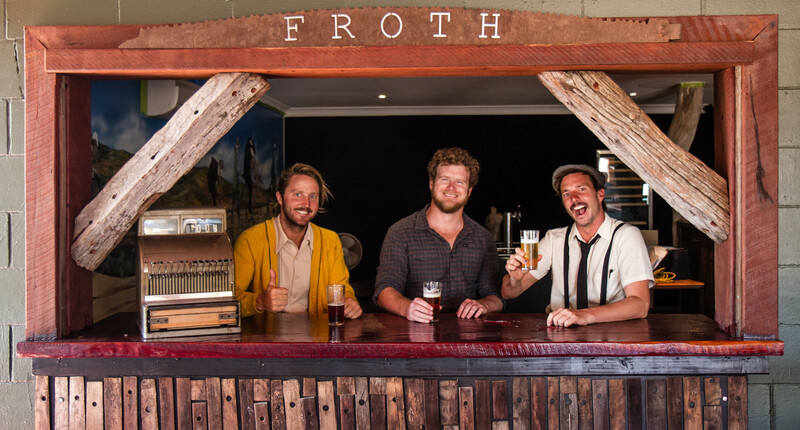 Froth Craft Brewery has three owners, myself, Pete Firth and Phil Gray. It was a process that took us a while to find a name that was recognisable and familiar. 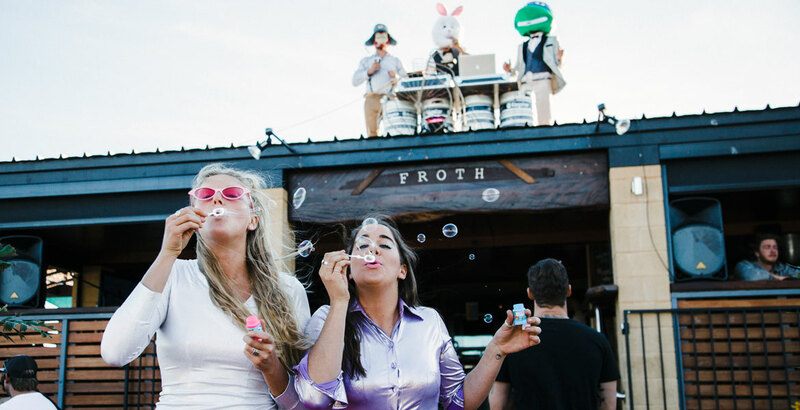 After much discussion and debate, we decided on Froth as it is such an iconic slang word throughout Australia and represents the youthful and entertaining vibe we wanted to bring to Exmouth. In 2009, a mate and I drove from BC, Canada, down through the US into Mexico on a winter surf trip. I distinctly remember going into a Safeway in Oregon and they had a whole aisle of craft beer, with most six-packs under $10. That’s where my true scope of possibilities was realised with craft beer. From there, I just went to every craft brewery I could and did my best to taste everything; this then inspired me to get creative and educate myself further in the realm of brewing. Just got back from Perth so was able to spoil myself: Rocky Ridge’s Dr Weedy and Wolf of the Willows’ Acidulus II were the standouts! What would be your desert island beer? Sorry, Australia, going to my Canadian roots with Driftwood Fat Tug IPA. Why even start your own brewery if you can't have rabbits and ninja turtles spin tunes from the roof? If your brewery was a band, who would it be? Definitely a band that knows no limits to its creativity and desire to want to push the boundaries as we grow. So ... Alt J ... or more so Radiohead. Well, we just got our liquor license change from a restaurant to a tavern license so we can now sell takeaway and wholesale. We’d love to be able to get our beers statewide in the next year. When considering in ten years, hopefully a commercial brewery around Perth where we can brew on a large scale. Currently at Froth Craft Brewery in the heart of Exmouth, WA and a few pubs in the area. We will be doing a contract brew later this year with Wedgetail Brewing to get our beers into the metropolitan market. 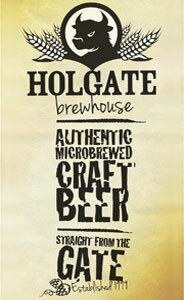 You can keep up to date with all the Froth Craft happenings via the brewery's website and Facebook. Or visit them at 5 Kennedy Street, Exmouth in Western Australia. You can check out other Who Brews...? features in the series here.